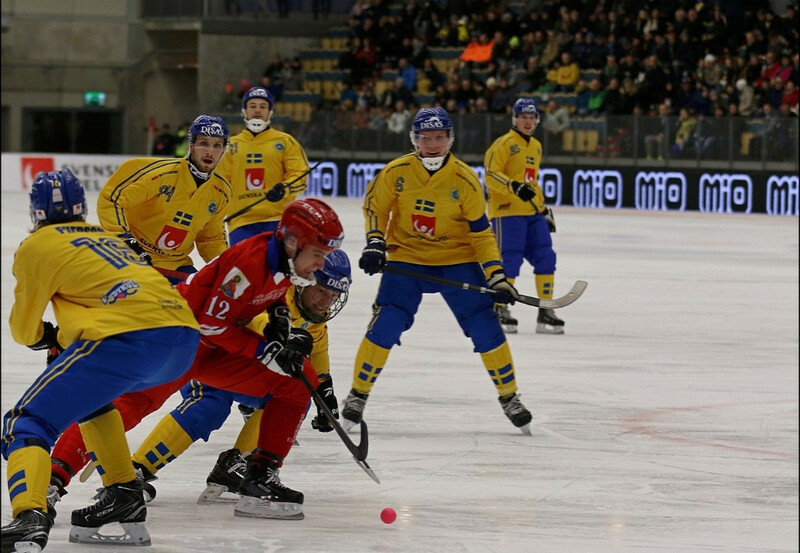 Hosts Sweden defeated defending champions Russia in the opening game of the men's Bandy World Championships in Vänersborg. 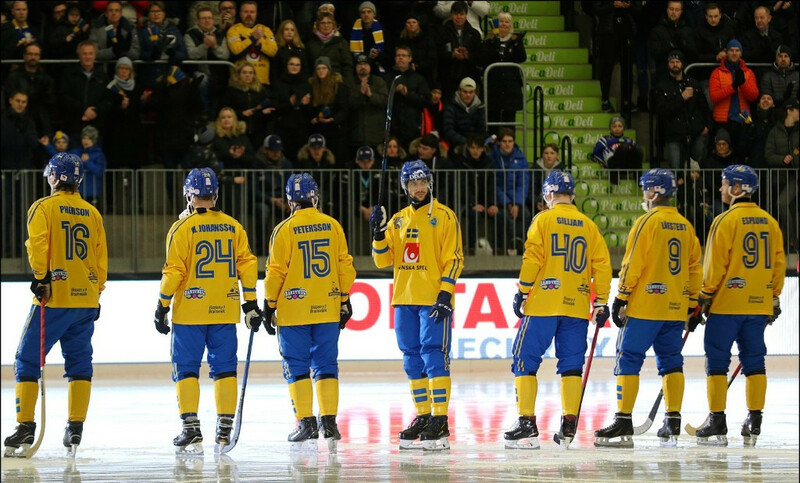 The Group A clash was a repeat of last year's final in the Division A tournament, with Sweden reversing the outcome by winning 6-4 at the Arena Vänersborg. Sweden led from the start, with David Pizzoni Elfving putting them 1-0 up in the 19th minute. Maksim Ishkeldin then equalised for Russia in the 35th minute, before Simon Jansson put Sweden back in front a minute later and Christoffer Edlund made it 3-1 before half time. Ishkeldin scored for Russia after the restart but again Sweden resisted a comeback with goals through Johan Esplund and Erik Pettersson. Ishkeldin secured a hat-trick to make it 5-3 in the 80th minute, provoking a response from Sweden's Daniel Berlin who restored the hosts three-goal lead. Almaz Mirgazov then got a consolation goal for Russia in the 90th minute, with the final score 6-4. In the second Group A game of the day, Finland thrashed Kazakhstan 9-0. Emil Fedorov and Tuomas Määttä scored four, with Markus Kumpuoja also getting on the score sheet. Tomorrow is due to see Group B get underway when Norway play the United States and The Netherlands meet Germany.